The perfect gift for someone you care about, with a taste for luxury and a discerning palate. 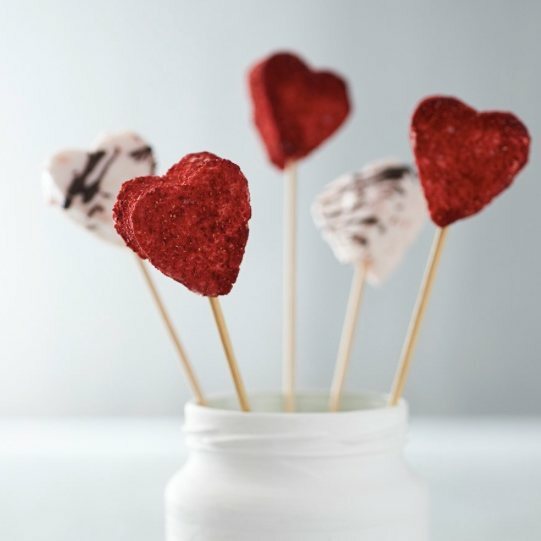 The marshmallows can be beautifully displayed on skewers like flowers in a vase. Our award-winning handmade gourmet marshmallows are light as a feather and freshly made at our farmhouse in Cornwall in small batches, using only fine, natural ingredients. Sophie Dahl calls them 'sublime' and Channel 4's Sunday Brunch panel declared them their 'absolute favourite'. Each 120g packet contains ten Champagne and Strawberries marshmallows: five coated in strawberry, and five drizzled with dark Belgian chocolate. Each packet is packed in a gift box with black saddle stitch ribbon and a gift tag that can be personalised for free with hearts or a message of your choice. Store sealed and out of direct sunlight. At their best for two weeks. Sugar, Strawberries 22%, Liquid Glucose, Freeze-dried Strawberry powder 5%, Dark Chocolate, Cocoa Butter, Gelatine, Icing Sugar, Cornflour, Glycerine, Lemon Juice, Cornish Sea Salt. Not suitable for children or vegetarians. Contain alcohol. Allergens: Soya, milk. Great product, so fresh and quality ingredients. Great product, so fresh and quality ingredients. Unlike any other marshmallows I've tasted! We ordered lots to put on a dessert table at our wedding and they went down really well. Absolutely sublime, exceptional tasty marshmallows. Looked great and tasted amazing. Would definatley buy from this supplier again . This product was very romantic and different. This product was very romantic and different. I bought this for a suprise for my partner for valentines day and I would definatly recommend this product :)!!! Was very much worth the money and tasted amazing, even though we had never tried a S'more before. Gorgeous marshmallows, my daughters were delighted with the s’mores kits. Many thanks. Marshmallow kits were a treat!!! Ordered two kits just before Christmas as gifts and were greatly received and enjoyed although I did not read about the short dates on the fresh products and froze mine to keep them fresh they were amazing and tasted just as fresh after being frozen highly recommended and great communication from seller, thanks so much. This product is dispatched by Cloud Nine Marshmallows. This item has a shipping weight of between 120g and 120g depending on the options selected. This product is eligible for free Standard delivery. 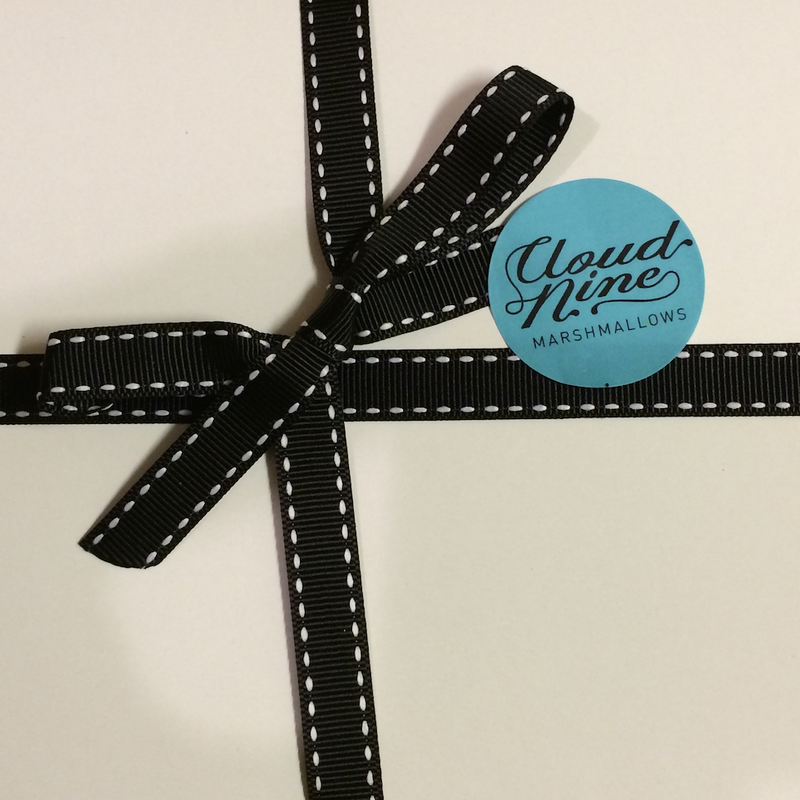 With fans including Sophie Dahl and Kirstie Allsopp - Cloud Nine's multi-award winning marshmallows really are the ultimate indulgence.